Hi Folks. Happy Groundhog's Day. It is already February and we are excited about Spring being right around the corner. Here is some news, and specials for you to Kick Off February. Gene Baker B3 Earth Model! 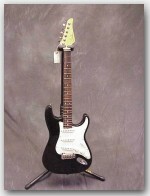 We just received an amazing B3 guitars Earth Model here at the store. Click on the picture for full description, more photos and sounds ! RMV Drums out of Brazil has announced that they will not longer have a USA distributor. Don't miss out on a chance to get a hold of one of these wonderful, yet affordable kits. Special for RMV Drums: Get free UPS Ground Shipping in the Continental US on any in-stock RMV kit!! Click on the above pic to be taken to our RMV inventory. 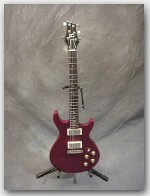 Used Guitar of the week!! John Suhr Classic, Alder, Maple Neck w/ Braz. Rosewood Fingerboard !! Folks, this is a STEAL!! Don't miss this one. Click on the pic to see more, and hear the guitar. We have 19 currently on order, and 13 are already spoken for. We are in April on projected delivery. Don't wait any longer to get yours on order. See, and hear the amp by clicking the photo above. Then, call us up and get yours on order. New Zildjian K Light Hi Hats land !! We just received the newest in the Zildjian K Line. See and hear them by clicking the pic!